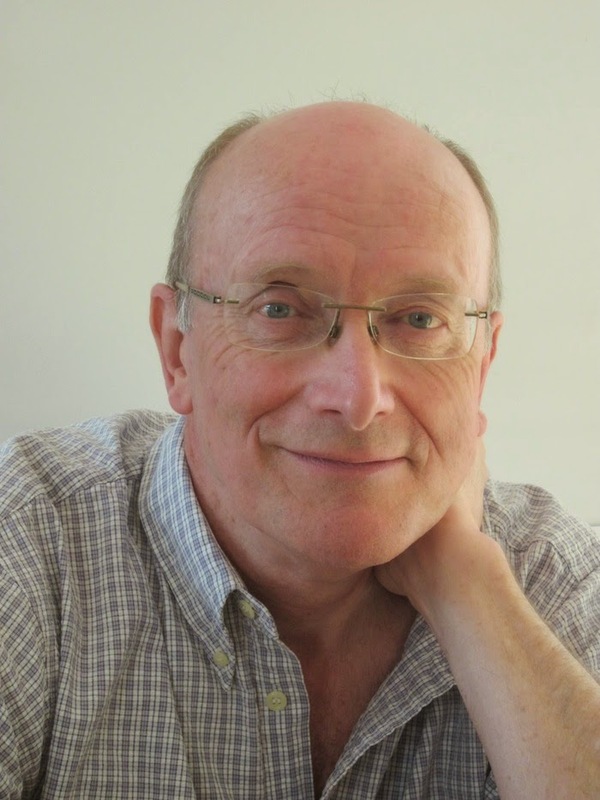 Today T.A Williams has stopped by to tell us a little about his book What Happens in Tuscany and why Tuscany was the perfect location for this novel. You can read an excerpt below as well! Katie never imagined her life was perfect. But when she finds herself on a rainy street, soaked to the bone and with only a cheating boyfriend and a dead-end job keeping her in town, she knows something has to change. Which is what leads her to Iddlescombe Manor, to be companion to Victoria Chalker-Pyne – the only 25 year old Katie’s ever met who hasn’t heard of Twitter, thinks camisoles are de rigueur, and desperately needs an education in the 21st century! But it wouldn’t be an education without a summer holiday – and where better than Tuscany? Decamping to Victoria’s family villa, it’s soon clear that the valley really does have it all: sun, sea…and some seriously gorgeous neighbours. The only question is: when the weather’s this hot, the wine is this smooth and the local men are this irresistible…will Katie ever want to make the journey home? We rented part of an eleventh century convent, located in the park of a fabulous Florentine villa dating back to fifteenth century. The terracotta floors of our apartment were so old, they were like the waves of the sea. The only source of heating was an amazing terracotta stove with moulded terracotta pipes. You get the picture; it was ancient and there was terracotta everywhere. When it rained, the roof leaked. When the wind blew, the windows had a habit of flying open, but it was a phenomenal place. In the middle of the cloisters there was a mass of overgrown vegetation. Closer inspection revealed a rose with a stem the width of my thigh. Presumably planted by the monks, way back. Every day I drove to work and back along a gravel drive, lined by poplar trees, that threaded its way through the olive groves. One night, coming home late, I almost bumped into a porcupine. That’s right; a porcupine. I didn’t even know they existed in Europe. We used to buy a leg of ham from the farmer and set it on a stand in the kitchen. Every day we would carve slices off and eat them with the wonderful unsalted Tuscan bread. Sometimes the local shepherd would let us have fresh goat’s cheese. It was soft and exquisite. We got our olive oil from the estate manager. He took us into the cellars each year to try the new oil. It was thick, green and so spicy, it could catch in your throat as you dipped your artichoke leaves in it. And the wine… a light, fruity red that went down all too easily. In the winter it could be cold and damp, but in summer, the heat and the humidity could sap the strength of even young people like we were then. It wasn’t unusual for me to come home partway through the day just to change into a dry shirt. The sun was relentless. By the end of June most years the grass had turned brown and the only green to be seen was the grey green of the olive trees, just visible under a thick film of dust. And the people. All right, we were young, we were newly married, we were keen to meet new people and discover all about our surroundings. But, even so, the variety of the people we met and the friends we made - friends we still cherish to this day – was truly impressive. We met people whose families had lived there for centuries. They told us all about the habits and traditions of Tuscany. They told us about the history of the place and we’ve been hooked on it ever since. I hope you enjoy What Happens in Tuscany… and that some of my enthusiasm for the place shines through. It’s a fantastic part of the world and, sooner or later, if you haven’t been, you’ve got to go and experience it for yourself. As she and the dog followed a narrow path through the olive groves, she spotted a tall figure walking towards her and, for a moment, she thought it might be Paul Taylor. When she realised it wasn’t him, she had a momentary sense of disappointment. She was still trying to analyse that reaction when the man drew level with her. Her eyes widened in surprise. This man was absolutely gorgeous. ‘Ciao bella.’ She stopped, slightly unnerved by this informal approach. He gave her a big smile that instantly put her at her ease and stopped to talk. ‘Now I see you out of the car, I realise you are more beautiful than I remember.’ She felt herself blushing. The dog, recognising him, trotted over and nuzzled his leg. It was a very long, muscular, suntanned leg and the rest of his body looked amazing as well. She racked her brains for the name Paul Taylor had mentioned. It came to her. Katie shook her head so Marco explained. ‘When he was a little puppy he chewed everything and pooped all over the house. Nando called him Dante because he was infernal.’ He put his hands on his hips, cocked his head on one side and studied her critically. ‘You know, I wasn’t wrong. You really do have spectacular bone structure.’ She felt her embarrassment grow. ‘Katie. And it’s a pleasure to meet you, too.’ She shook hands with him. He held her hand a few seconds longer than necessary before relinquishing it. ‘I’m here with my friend, Victoria. We’re staying at the villa over there.’ She pointed down the hillside to the roof that was just poking up through the ancient trees that surrounded it. She saw immediate comprehension on his face. He nodded. ‘Oh, yes. We all knew Sir Algernon.’ His tone did not express warmth. 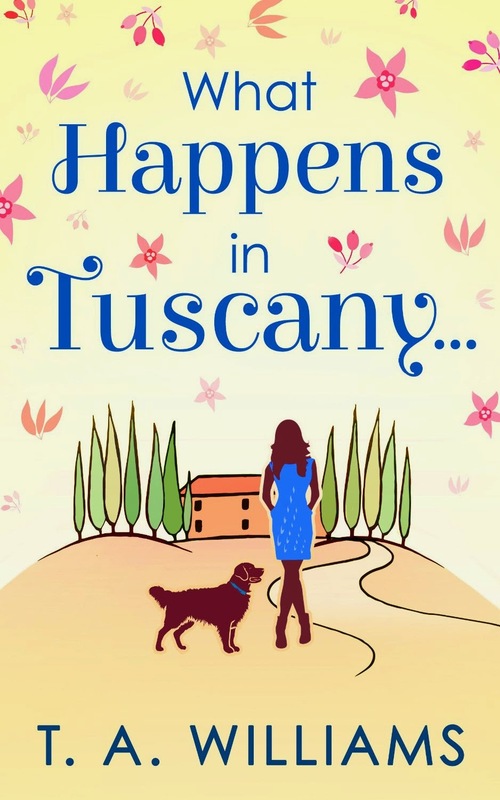 What Happens in Tuscany by T.A. Williams is a contemporary romance from Carina UK, released January 20 2015. Thank you so much for sharing your experiences in Tuscany, Trevor. It is wonderful to able to transport oneself to beautiful Tuscany via fiction, when outside it is snowing or grey or raining. We just love books that are strong on locale, such a great way to escape! I have long wished to live in a lovely and leafy English village. Devon sound delightful. Of course, Tuscany does too. Thanks for an enjoyable visit, Trevor.